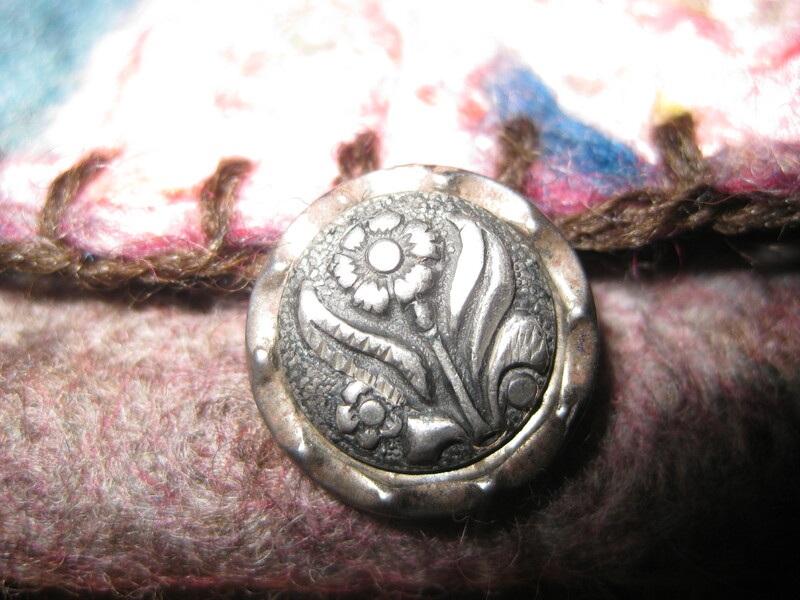 My first introduction to felt making was seeing a felted vessel that a friend had made. I didn’t understand what I was seeing or how it was crafted. It looked strange, pod-like: more organic than most sculptural forms. Soon after this introduction, I learned the basics of flat, wet felt making as well as felting around a resist (to create a vessel) and I was very quickly in love with the craft. I wear a small handbag almost every day, to carry a cell phone. Walking the dog, doing errands, even in the garden — I like the convenience of having a light-weight bag with a long strap worn across my chest so I can readily reach for phone, keys, cash, tissues. 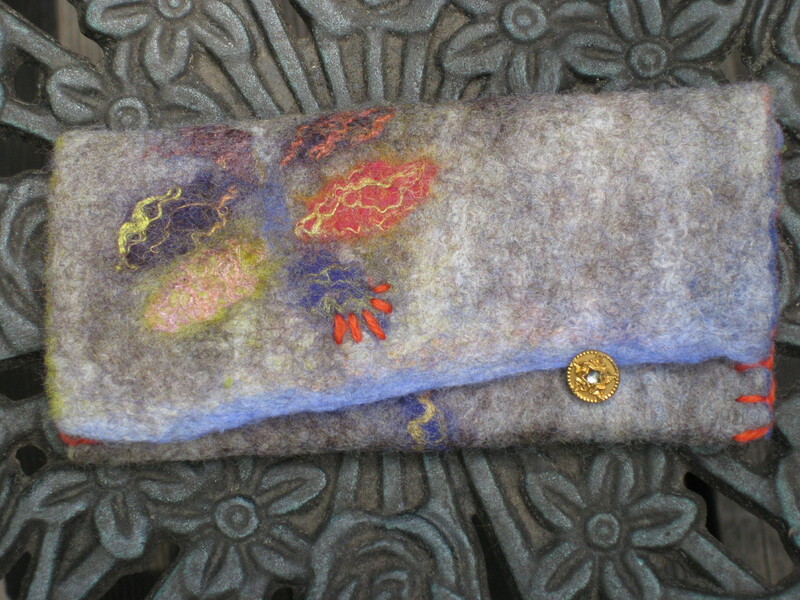 Creating a small felted handbag that would embody a theme, so that each time I wear it and use it I would be reminded of that theme, is very appealing to me. Perhaps the theme would remind me to “relax,” or “breathe,” or to bring compassion to whatever I’m doing at the moment. It’s very empowering to have the skill to craft functional items; and it’s delightful to share this skill with others by teaching feltmaking!